The announcement was made after market hours on Friday, 5 April 2019. Shares of Indiabulls Housing Finance were down 4.12% at Rs 865.95. Meanwhile, the S&P BSE Sensex was down 229.88 points, or 0.59% to 38,632.35. 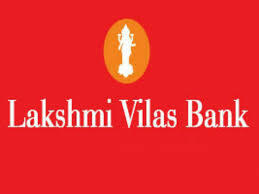 On the BSE, 7349 shares were traded in the Lakshmi Vilas Bank counter so far compared with average daily volumes of 12.99 lakh shares in the past two weeks. The stock hit a 52-week high of Rs 121.75 on 21 June 2018. The stock hit a 52-week low of Rs 54.80 on 25 February 2019. Lakshmi Vilas Bank said it will amalgamate into Indiabulls Housing Finance, subject to the Reserve Bank of India (RBI) and other regulatory and statutory approvals. The share-swap ratio for the merger has been fixed at 1:0.14, which means that for every 100 shares of Lakshmi Vilas Bank held by shareholders, they will be entitled to receive 14 shares of Indiabulls Housing Finance. On Saturday, 6 April 2019, RBI stated that it has learnt through media reports that Lakshmi Vilas Bank (LVB) and Indiabulls Housing Finance (IBHFL) have made a merger announcement on 5 April 2019 with approval of their respective boards. It has been reported in a section of the media that the presence of two nominee directors of the RBI on the board of LVB implies RBI's indirect approval of the proposal. It is clarified that the merger announcement does not have any approval of RBI at this stage. It is also clarified that presence of additional directors nominated by the RBI on the board of LVB does not imply any approval of the RBI of the merger proposal. Moreover, the additional directors have clearly mentioned at the meeting that they have no view on the proposal. The proposals, as and when received from these entities, will be examined in RBI as per extant regulatory guidelines/directions, the central bank added. Lakshmi Vilas Bank reported net loss of Rs 373.49 crore in Q3 December 2018 as against net loss of Rs 39.23 crore in Q3 December 2017. Total income declined 6.73% to Rs 762.48 crore in Q3 December 2018 over Q3 December 2017.